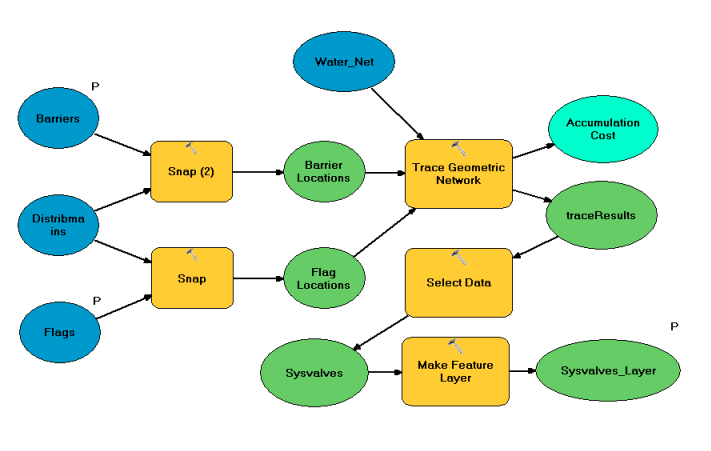 I experienced several issues when publishing a geoprocessing tool with a geometric network trace as a geoprocessing service. The difference for one of my models is that it refers to data stored in an ArcSDE enabled SQL Express db (to be accessible by a feature service). When I run the model the result shows correctly as a feature layer that selects the traced network lines. When I try publishing the result as a geoprocessing service, the Analyze functionality shows no errors or warnings, but an Error shows up once I press Publish. The database is registered with the Server and works fine in other feature/map services referring to the same data. My presumption is that the connection string referencing to the SQL Server is somehow not accepted by the geoprocessing service. Does this issue sound familiar to anyone? Alternatively, I’ve moved all my data to a File GDB and the publishing works only if I let ArcGIS Server copy my data from a local FGDB to the server directories (so a registered folder doesn't work). This seemed to work fine up till the moment I published a second GPservice that uses the same local FGDB and copy to server method. After that local data is copied to the server, both services just stopped working (no results, empty error messages). Does someone have experience with this on how to correctly configure these?